I’m happy to report that, with the official launch of the studio, the audio workstation, and even this website, my attention is finally turning back to music (he says while composing a blog post). Now, to get the very best audio quality out of my new HD studio, I’m upgrading a few instruments too. First up: electronic drums, cuz believe it or not, after thirty years of hoarding, not one of my drum machines, modules, or sample libraries reaches the “high-definition” bar. Thankfully, there’s no shortage of cures for the drum-machine blues. Get this: There’s vintage analog drum machines (e.g., Roland’s TR series), vintage analog clones (e.g., Novation’s Drum Station, Jomox’ Airbase), modern analog drum machines (e.g., Vermona’s DRM-1 MkIII, DSI’s Tempest), hardware- and software-based analog modeling drum machines (e.g., Arturia’s Spark, D16’s Drumazon), next-gen software-based drum synthesizers, and countless sample libraries that borrow from all of the above. After weeks of research and demos, vintage analog seemed the winner, but then the price tag kicked me squarely in the yarbles. Seriously, $4,000 for a thirty-year-old Roland TR-808? No thank you. Not with my luck – it wouldn’t survive the shipping. So, on Monday, I pulled the trigger on a software alternative – Transistor Revolution MkII by a European outfit called Wave Alchemy. 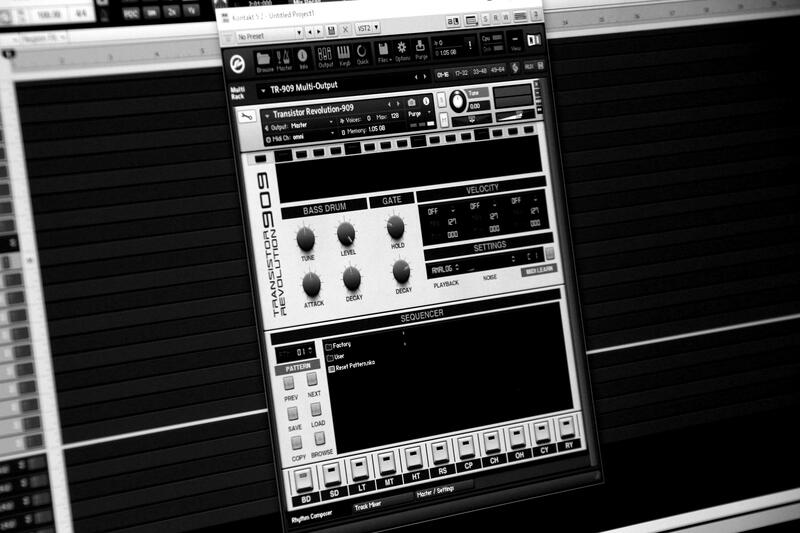 It’s a sample-driven TR-808/909 clone that’s just plain sick. 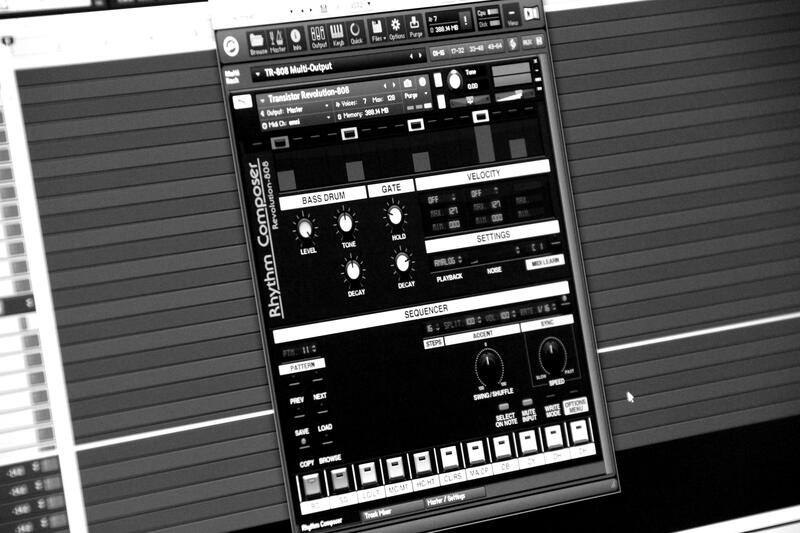 Rather than emulate Roland’s vintage drum machines through imperfect modeling or stale, one-shot samples, they’ve recorded over 25,000 samples at 24 bits and 96 kHz (through API 512c preamps, no less), with at least seven samples (recalled randomly) for every conceivable combination of knob positions. The results are amazing – virtually indistinguishable from the originals – and with tons of usability improvements. Winner, winner, chicken dinner. And here’s the TR-909. For both models, striking any of the buttons (on-screen or remotely via MIDI) reveals the tone controls for the respective instrument – an ergonomic design that, while divergent from the layout of the originals, saves tons of screen real-estate. Furthermore, all of the parameters can be automated and controlled remotely, where a more traditional, hands-on approach is desired. Next time, it’s all about the acoustic drums. See you then.